Tenorshare iPhone Care Pro for Mac is a 6-in-1 iOS system optimization tool. 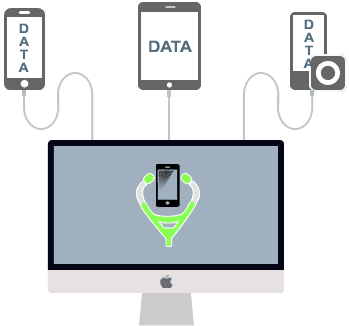 It repairs iOS system issues, deletes unwanted files, optimizes your ongoing performance, blocks annoying ads, etc. The most important one is it can create an iPhone backup while bypassing iTunes. Files Manager – Manage Photos, Contacts, Messages, etc. One click to transfer photos, music and other files between iPhone and Mac. Organize and manage 8 types of files: Contacts, Notes, Calendars, Apps, Music, Videos, Bookmarks and Photos. Export/transfer contacts, music, photos and more to your computer in the form of xls, .doc, .txt, .pdf, .jpg and so on. Add files to iPhone or delete from iPhone without any effort. Merge duplicated contacts on your iPhone/iPad/ iPod. Clean up all unnecessary files in your iPhone, iPad and iPod and reclaim up to 60% space. Make your iOS system 10X faster. Two clean modes provided – Deep clean and quick clean. Support to scan and clean files like call history, messages, browsing history, safari cookies/caches/history, webmail caches, active apps, iOS notifications, app residual files, app cookies/caches/temp files/crash logs, photo caches, iTunes radio caches, user storage files and more. Filter out annoying ads to improve the user experience. Block all ads from any apps, like YouTube, Facebook, Airborne, Panora, Twitter, Hulu Plus and games, etc. 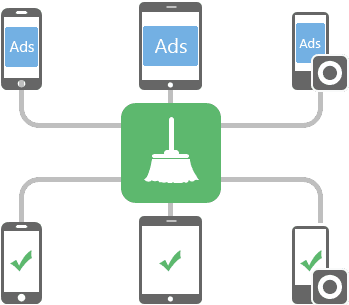 Supports all popular ads types: Google AdSense, iAds, Admob; floating ads, pop-up ads, full-screen ads and so on. Put your iDevice into/out of recovery mode and DFU mode to fix iOS stuck issues. Fix iOS stuck at Apple logo, repeatedly restart loop, red iTunes logo screen, recovery mode, DFU mode and can't boot normally..
Reboot iOS device when you need do a fireware restore but Home or Power button doesn't work.. Enable you to update when iPhone/iPad/iPod refuse to activate. Perfect Alternative to iTunes. You can backup and restore your iPhone, iPad, iPod and circumvent iTunes limit. It allows you to keep multiple backups for your iDevice, which is what iTunes can't do. Automatically detects backup files that you backed up with iTunes or iPhone Care Pro.